The Public Utilities Commission unanimously rejected petitions by environmental and Native American groups that asked the panel to reconsider its 3-2 decision in June to approve a route permit for the line across northern Minnesota. Opponents of Enbridge Energy's proposed Line 3 crude oil pipeline replacement are turning their attention to fighting the project on other fronts after a Minnesota regulatory panel took one of its final steps Thursday and reaffirmed its approval of the project. The Public Utilities Commission unanimously rejected petitions by environmental and Native American groups that asked the panel to reconsider its 3-2 decision in June to approve a route permit for the line across northern Minnesota. Those opponents acknowledged ahead of time that they held out little hope, given the commission earlier this month unanimously rejected their petitions to reconsider the project's certificate of need. Supporters of the project started arriving before 6 a.m. and grabbed most of the 83 public seats in the hearing room. So only a few opponents, from environmental groups including MN350 and Native American tribes, were in the room to protest immediately after the decision. "Line 3 is a climate change disaster so we will stop Line 3," they chanted. Groups fighting the project conceded beforehand that persuading their people to show up and wait in line in the cold for an uncertain chance at a seat had gotten harder. But around 30 people from MN350 and other groups gathered near the hearing room afterward for a short rally. Now opponents are shifting their focus to the Minnesota Court of Appeals and preparing for demonstrations along the route as construction preparations ramp up. "This is not the last time I'll be seeing any of you," Andy Pearson, Midwest tar sands co-ordinator for MN350, vowed to the protesters. Enbridge wants to replace its existing Line 3 because it was built in the 1960s and is increasingly subject to cracking and corrosion. 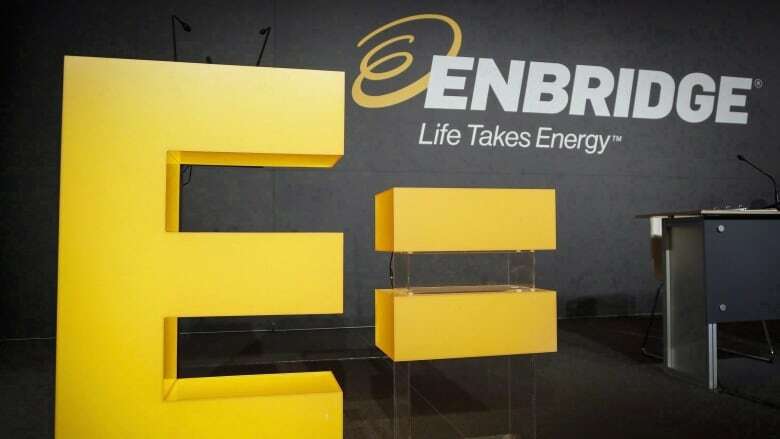 Line 3 crosses northern Minnesota and a corner of North Dakota on its way from the oil fields of Alberta to Enbridge's terminal in Superior, Wis.
Calgary-based Enbridge persuaded the commission that it's a critical safety issue. "The replacement of Line 3 is a safety and maintenance driven project intended to protect the communities and the environment in northern Minnesota," Enbridge said in a statement afterward. "The approved route represents more than 115,000 hours of engineering and environmental study, ensuring the safety of communities and the protection of cultural and natural resources." Environmental and tribal groups say the project will aggravate climate change because the new line will carry Canadian oilsands oil, which generates more climate-warming carbon dioxide during the production process than regular oil. They also object because of the potential for leaks where it crosses the pristine Mississippi River headwaters region, where Native Americans harvest wild rice and claim treaty rights. They say the oil should stay in the ground. Native American activist Winona LaDuke, executive director of Honor the Earth, renewed her prediction of mass protests patterned on those against the Dakota Access pipeline, which drew thousands of people to the Standing Rock Reservation in North Dakota in 2016 and 2017. Those protests resulted in 761 arrests over a six-month span. Three Line 3 opponents were arrested late last month for blocking access to a pipe storage yard along the route in Minnesota, near Carlton. LaDuke was among more than 20 pipeline protesters blocking an intersection in Bemidji in August. LaDuke issued a statement saying the commission had "recklessly acquiesced" to Enbridge. "Given what is at stake, history will not look kindly on their decisions," she said. "Nor should it." LaDuke has applied for a gubernatorial appointment to the seat on the Public Utilities Commission that's being vacated by Chair Nancy Lange, whose term ends Jan. 7. Environmental lawyer Leili Fatehi, who represents the Sierra Club against Line 3, has also applied.